탈린, 에스토니아의 올드 타운 문켄호프 | 호스텔월드에서 예약하세요. Old Town Munkenhof is situated in the heart of Old Town, Tallinns medieval centre. 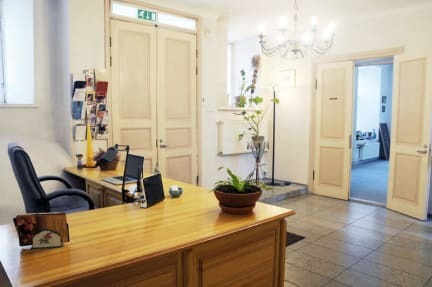 The guesthouse is 100 meters from the Town Hall Square on a quiet street, which means you are just steps away from the citys best restaurants, cultural attractions and nightlife. We provide quality accommodation for affordable prices. Our guests can choose between comfortable private rooms and dorms, all with fresh linens and towels. Amenities include a 24-hour reception, cozy common areas with TV-s, hot showers, computers with free internet and a fully equipped kitchen. It is possible to rent a car, bicycles or scooters. Our helpful staff provides useful information about the city and free maps are available. Welcome to Tallinn and we hope you enjoy your stay at Old Town Munkenhof guesthouse! The reception is open for 24 hours.